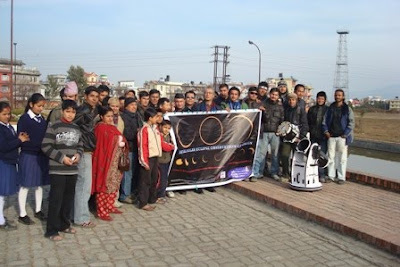 Annular Solar Eclipse 2010/Partial SOlar Eclipse in Nepal! Wish you all a HAPPY NEW YEAR 2010! I would like to wish you all a happy and prosporous year 2010. I am very greatful to all my readers for their, comments and suggestion in 2009 and hope more in coming days to that I could make this blog more informative to know me and my work in Nepal.